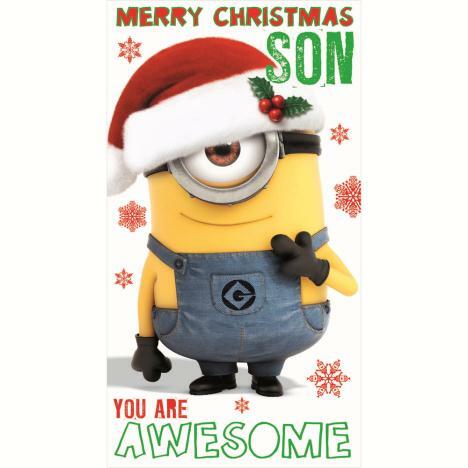 Son Minions Christmas Card | Minion Shop. The message inside reads "Wishing you a fun-filled Christmas"
Minions are small, yellow creatures who have existed since the beginning of time, evolving from single-celled organisms into beings who have only one purpose: to serve history's most despicable masters. Minion Shop is a one stop shop for all things Minions and Despicable Me - stocking everything from Skateboards to Greetings Cards.